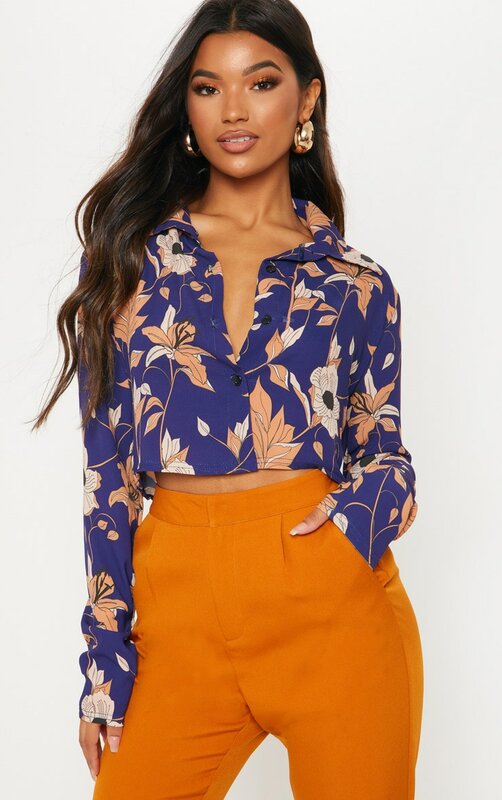 Add some florals to your wardrobe with this crop top. 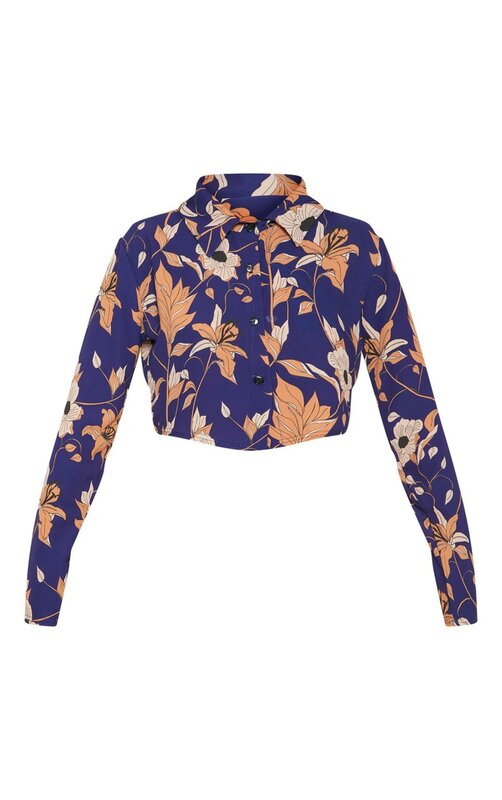 Featuring a navy floral print fabric with long sleeves, a button up front and a cropped length, what's not to love? Style with some bold hue pants and strappy heels for a look we're loving.